THE PUBLIC DOES NOT GET TO VOTE ON THIS BILL! We vote with our bodies at rallies. We vote by testifying in front of committees that we oppose this bill. We vote by calling our Senators and reminding them that we are their constituents! We vote by faxing their office our concerns. We vote by emailing our concerns! We need you. All hands on deck. The ship is sinking, and without the people in place, it has no chance in staying afloat! Now is the time for LA to shine! 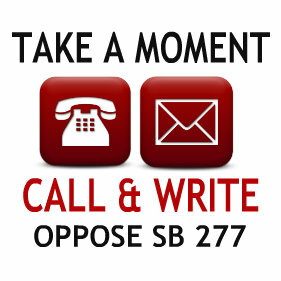 We have the opportunity next week to make a huge statement for the Education Committee. Let's show the world how serious we are about this issue, and the future of our children. The rally in Sacramento set a precedent, so let's set another at LAUSD in Downtown Los Angeles! Wear red, but know that signs can't be taken into the board meeting. So either "wear" your sign, or make it foldable. I hope to see as many people there as is humanly possible! Board Meeting opens to the public at 1p. 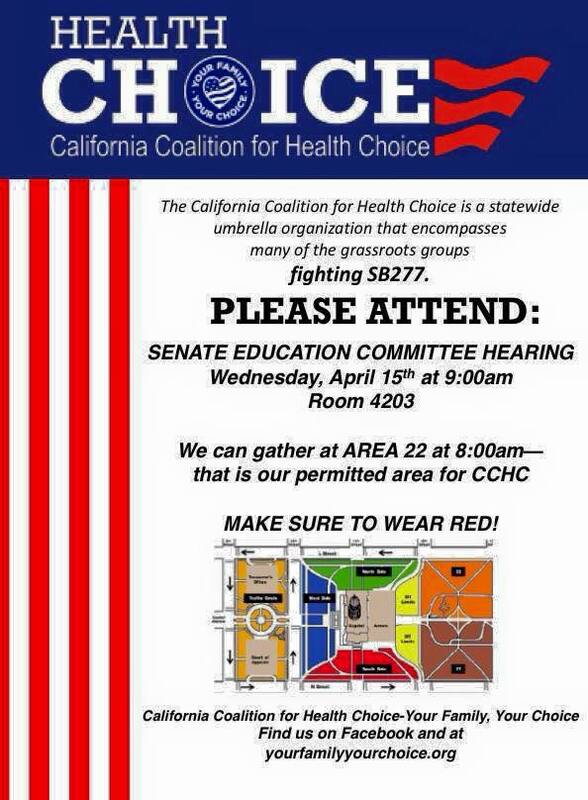 We are gathering to unite in opposition of Sb277. Please join us to show your support. The hearing starts at 9:00 AM. MEET at Area 22 7:00 AM and 8:00 AM. Almost 2000 people rallied today on the Capitol Steps. Men, women and children standing together in opposition to Senate Bill 277. At the hearing the Sergeant at arms said this is the biggest crowd he has seen to oppose a bill in the last 15 years! 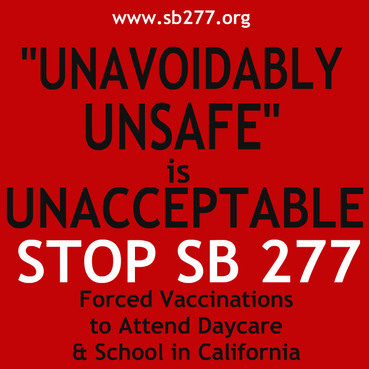 There were FOUR overflow rooms filled with people wanting to publically testify, 490 people got up the the microphone to state their opposition to SB277 and 56 to support mandated vaccinations. In the end, the Senate Health Committee voted to approve the bill 6 - 2. 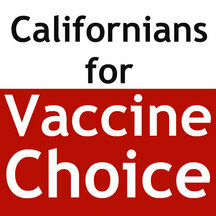 Should this bill become law, it will mandate ALL vaccines to ALL children in California, whether they are enrolled in public school, private school, parochial/religious school, charter school, or home school. 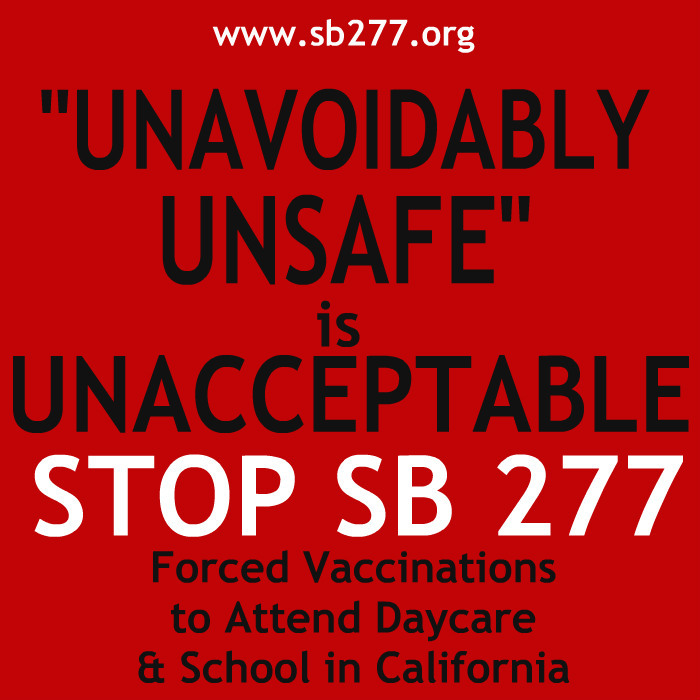 Even more vaccines will be added to the schedule: There is a clause (#11) in SB277 that leaves the door open to add as many new immunizations to the pediatric schedule as the California Department of Health deems necessary. There are hundreds of new vaccines in development including some of the following in clinical trials: HIV, herpes, E. coli, dengue fever, avian influenza, smallpox, tuberculosis, typhoid, norovirus, cholera, smoking cessation, syphilis, and gonorrhea. If vaccine manufactures and others who profit from forced vaccination convince legislators take away our right to delay or decline a vaccine now, what will our future look like? April 7th - Doors 5pm, Show 6pm. ALL CALIFORNIA LEGISLATORS will be provided a ticket at no charge! 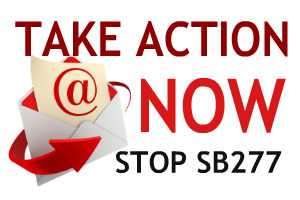 PLEASE call your legislators and encourage them to attend. 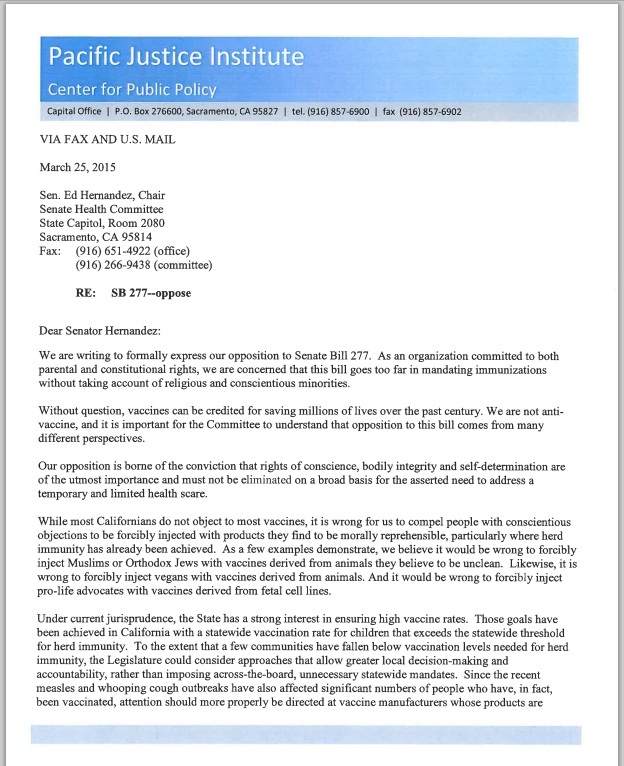 They MUST see "Trace Amounts" before they vote on SB277!! The first hearing will be the Senate Health Committee on Wednesday, April 8, 2015.